Scars can appear in any shapes and sizes and are rarely something you’d like to show off. Get insights on how to get rid of scars on face from scratches, burns, pimples, acne, fast using natural ingredients. To get rid of scars on face, you should consider applying safe yet recommended natural remedies believed to promote healing for example; lemon juice, Indian gooseberry, cucumber paste or rely on medical treatments, like scar creams which contains alpha hydroxy acids or silicone, laser treatments. There are many option available, the right one depends on the size and age of the scar, and also your personal treatment preferences. There are some ways of how to get rid of scars on face or marks fast. There are also a lot of chemicals and medicines in the markets to remove scars, but it might take time. Here are some home remedies which are effective in removing marks or scars within a very short period of time. Lemon: apply lemon to your scars on face, it contains alpha hydroxy acids [AHA] which help to remove dead skin cells, it also helps new cells grow, and bring back some elasticity to the skin. As a natural bleach, it can help lighten scars on your face. Lemon juice may make your skin sensitive to light, so if you are going out consider wearing sunscreen wherever you applied it. Honey: raw honey can also be used to get rid of scars on face. This is a natural remedy, can be effective in the treatment of wounds, and also stimulates tissue regeneration. This process is long and may take up to some months before you start to see some changes. Keeping your skin well hydrated and moisturized is the first step towards removing old scars on face. Cocoa butter is perhaps one of the best natural remedies moisturizer that you can use on your skin to not only get rid of old scars on face but also to keep your skin soft and smooth. Home remedies are all good for old scars but there are some that will be more suitable for your skin typ. Find out them by experiencing with each and every remedy for old scars. Have patience and treat your scars with remedies and you will definitely know how to get rid of scars on face especially the old once. Patience will be the main ingredient though, whatever remedy or treatment for your old scars. Even if you are not suffering from true old scars, you may be left with bumps. Uneven texture from breakouts. Dermatologist can offer a series of microdermabrasion and strong chemicals peels to smooth your face, but as you know there are many at home options as well. A nasty scar on the face can mar your face value. Injuries to skin can damage the skin structure. During the healing process most injuries can result in scar formation. Scar can develop due to many reasons, it can be an outcome of tattooing or an aftermath of even precise surgical incision. We all have scars on our bodies, but if they remain covered under our clothes we do not pay much attention to them. Although, when scars appear on face, it can be very distressing, especially from cosmetic products. Scars can develop on face from scratching. Having long sharp nails makes you vulnerable to nail scratch scar. You tend to scratch yourself especially if there is itchiness on your face. Mostly the superficial layer of skin is damaged when you scratch your face. The skin may heal within few days. However, in most cases the skin has tendency to develop scar tissue even with minor injury. These kind of people should be careful and prevent such nail injuries by trimming them from time to time. Nail scratch injuries on skin is usually superficial. It means the upper layer of skin is injured. Scars developed due to superficial skin injury on face fade out after a period of time. But some scars may last for some time it may be months or years, especially if the deeper layer of the skin is damaged. Here are some tips for how to get rid of scars on face from scratches. Cut your nails regularly to prevent nail injury on your face. Apply olive oil often on the scar area. 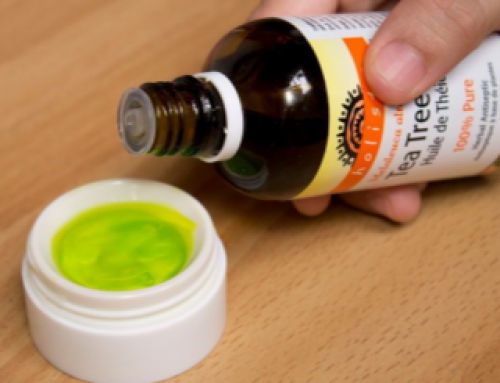 It will help to lighten the nail scratch considerably without causing any damage to the nearby skin. Facial scars due to nail scratch injuries can be effectively treated with cocoa butter. Apply it regularly on the scar tissue on your face. After few weeks the scar will go away on its own without leaving any trace of nail injury. Cocoa butter is good moisturizer and it helps to reduce face scars due to scratches. Always apply sunscreen on your face while going out. It helps to prevent hyper pigmentation of scar tissue. Scars are a result of the body’s natural healing process. Research shows that the worse your initial injury, the more likely you are to develop a scar as the wound heals. Burns are no exception to this rule. Deeper burns develop into darker scars while shallow burns are lighter or may not scar at all. 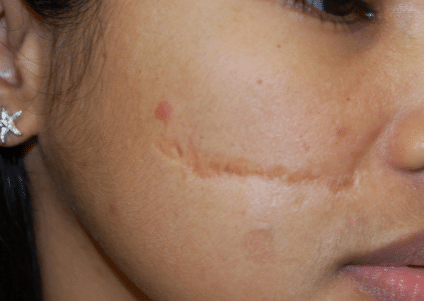 When dealing with burn scars, it is important to make sure that you have done all you can to prevent massive scarring and then start treating it from there once the burn has healed. Massage your scar with moisturizer to increase circulation to the site. Increased circulation will also help collagen to be evenly distributed throughout the skin. This leads to flattening and fading of burn scars with daily use. Visit your physician for a chemical peel to eliminate the outer layers of damaged skin. Research shows that fruit acids are applied to your skin using a large cotton swab. The acids eat away at the dead, damaged skin of the burn and are then neutralized. Treatment frequency depends on the severity of your scarring. Apply sunscreen to your scar when going outdoors. The sun’s harmful UV rays cause scars to darken, making them more noticeable while inhibiting the natural healing process. It is important to apply a sunscreen of SPF 25 or higher for adequate protection. Eat plenty of vitamin C and zinc enriched foods. Foods that are high in vitamin C include citrus fruits, broccoli and potatoes. Ideal zinc-enriched foods include Brazil nuts, peanuts and lean beef. Vitamin C and zinc nourish your skin from the inside out by building collagen around the skin’s blood vessels. As we all know acne scars are so annoying. Anyone who has suffered from post-pimple hyperpigmentation knows this is truth to be self-evident. And, post-puberty, they affect every age and every skin color. They occur as red or brown marks that can last for weeks or sometime, for the really unlucky, months. As someone from that unlucky category, I can confidently tell you that I have tried every remedy known to man. I know the only permanent ways of how to get rid of scars on face immediately are lasers and retin-A. 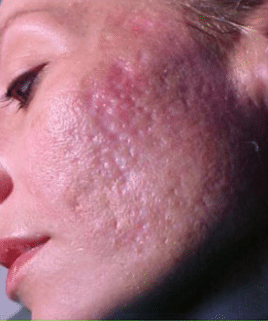 But those options continue to be out of reach for the majority of those who are afflicted with this scars from acne, infuriating skin condition. That said, quite a few at-home, non-prescription products do a very good job after fading those acne marks faster, to get back to the even-toned complexion you had before that massive breakout. These products, in most cases, have no real effect on actually preventing blemishes, we know that fading those dark scars is half the battle. 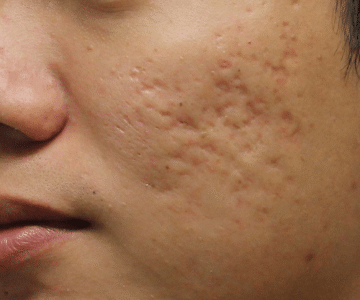 Scars that are left on your face by acne or injury can undermine your self-confidence. If you have any facial scarring, you are probably aware that aggressive and costly treatments are available. But still there are home remedies, as well, that can minimize the development of many scars. Gently wash your face morning and evening with a cream cleanser that has natural botanics and herds, such as chamomile, willow bark, tea-tree oil or lavender. These nutrients also have anti-bacterial and anti-inflammatory properties. Pat the skin dry with a clean towel and then apply lemon juice to the scar for 15 minutes. The natural alpha hydroxy acid in lemon lightens scars. Afterwards wash the lemon juice off with warm water, and pat dry. Apply honey on all of your face. Wait 10 to 15 minutes and then rinse and pat dry. Honey been used in ayurvedic practices for centuries. It is packed with nutrients that facilitate scar fading. While also giving the skin a luminescent look. Apply aloe Vera gel to the entire face and let it dry. When the gel has absorbed into the skin apply a natural healing oil that is pH balanced, such as olive oil, almond oil or jojoba oil. These emollient-rich, nutrient-rich oil aid in scar elimination. Continue the process until scarring is gone. No one loves pimple scars. The scars and discoloration that may stick around long after your pimples has cured over are both unsightly and awkward. Whether you want to get free of the marks in order to pick up your professional look for work, or even just because it is something you like to do, there are some ways for how to get rid of scars on face from pimples. Who likes scars and that too on face! How to get rid of scars on face is a little tougher than eliminating acne actually. Pimples can be naturally treated with many ingredients having anti-inflammatory or anti-bacterial properties which are in abundance in nature. Although, pimple scars are little stubborn as they does not go easily. However, as the saying goes, nothing is impossible. It may take some time but your regular efforts using certain natural bleaching agents as well as other ingredients may lighten your acne scars and gradually remove them permanently. There are certain things that you should avoid in order to prevent forming scars on you face at the first place. It is not essential to have scars even if you get pimples. Do not be tempted to pop or squeeze your acne, avoid playing with them, don’t pick them either. Just leave them alone when you are not applying any remedy on them. Whichever way you are using to remove pimples, do it with gentle hands. 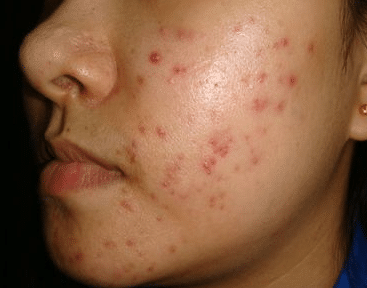 When you get acne, there is intense inflammation on your facial skin and there is loss of collagen. Collagen is the protein fiber, one of the components of skin which usually gives skin its elasticity. Especially when you pick or squeeze your pimples, it leads to further inflammation and injury to your skin. It also end up the bacteria and pus in your pimple go deep down into your skin resulting in more loss of collagen which means even deeper scars on your face. Here are some of the home remedies you can use for how to get rid of scars on face naturally and faster. This magic herb, aloe Vera, it does not only soothes swollen skin but also helps in regenerating damaged tissues boosting the healing process. It is better to use fresh gel like substance directly from the aloe Vera leaf than to use over-the-counter products containing aloe Vera. Apply aloe Vera twice daily to see the result in just few days. 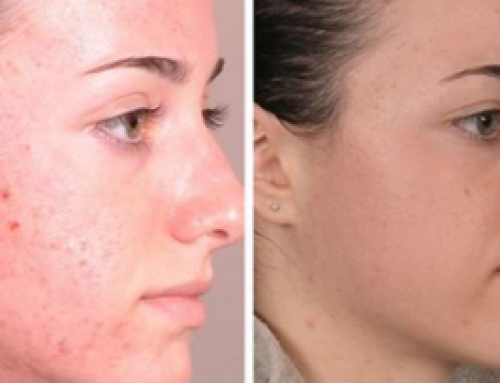 Not only will your acne scars will dimish but also your skin will start glowing and will become tighter. Olive oil can be said to be the friendliest oil because it contains a whole lot of vitamins [A, D, E, C, B1, and B2], iron and antioxidants. The anti-inflammatory properties of olive oil also help remove acne scars. Massage for a few minutes until the time you will feel that all the oil has been absorbed by your skin. Take a clean towel or cloth and drape it into warm water. Put the warm wet towel on to your face to get the steam. Now wipe away the excess oil gently with the cloth. After 1-2 minutes wash off your face with fresh warm water. Repeat this process raw potato massage for at least 3 to 4 times a week for at least 2 months depending on the intensity of your scar. Remember this and all other home remedies needs patience for suitable results. Apple cider vinegar has many properties. It is an astringent and a natural disinfectant that makes it good natural antiseptic. It also balances the pH level of your body and skin when applied topically. Thanks for sharing it. Very needful post for me because i have acne problem.